Sometimes it is easier to select a song for the procession of the bride than for the rest of the wedding party. Would you like a few ideas to get your creative juices flowing before you meet with a professional wedding DJ? 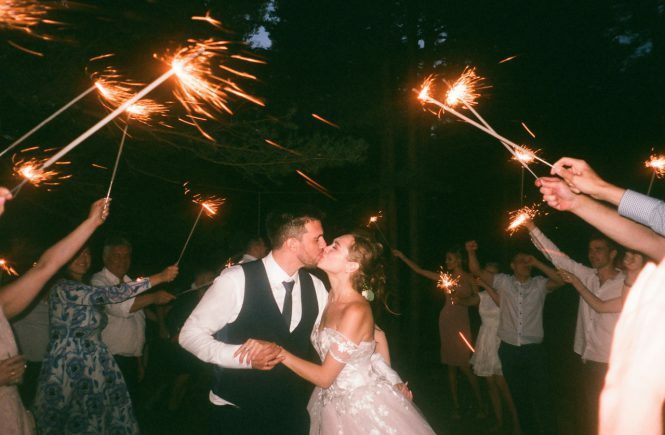 Here are 6 of the most requested songs for the procession of the bridal party. Jack Johnson: Better Together – This song provides a little bit of an upbeat tempo for the bridal party, while still delivering a sweet acoustic feel. Beatles: In My Life – The guitar cover by Fred Benedetti & Peter Pupping is a great way to lead into a procession of the bride that features a version of Here Comes the Sun. 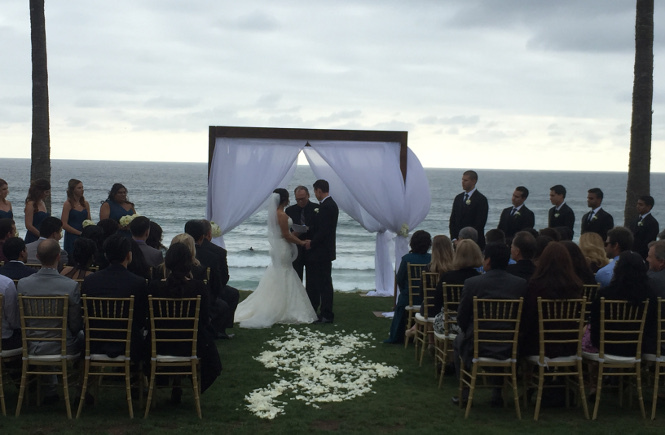 Train: Marry Me – Train isn’t usually known for acoustic ballads, but this one has been popular at weddings since the moment it released. Pachelbel’s Canon in D – This is popular for the bridal party and the bride. If you choose it for the bridal party, try a version by the Lumiere String Quartet or Gypsy Flamenco Masters for a Spanish guitar version. Journey: Faithfully – The original may not scream bridal party procession, but the cover by United Guitar Players sure does. Jason Mraz: I’m Yours – The Stringspace Space Quartet does a great cover of this song that can be used for the bridal party. 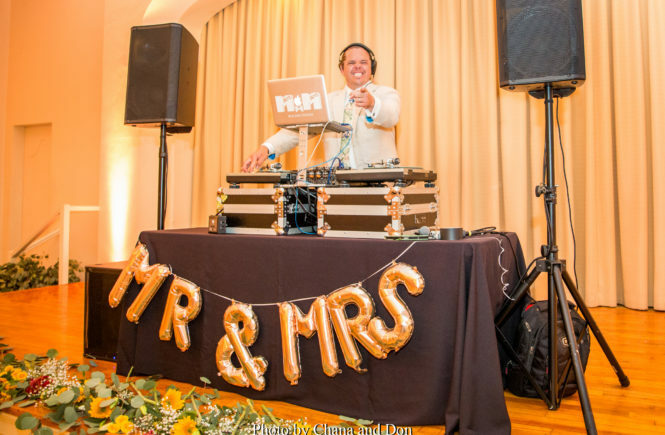 If you are planning a wedding in Southern California, DJ Mikey Beats wants to help you throw the party of your life. 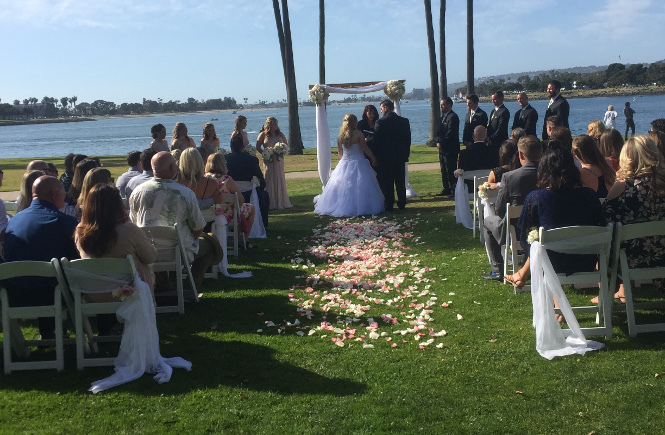 To get your celebration started, call 858.270.2195, or you can get a quote online. Thank you Mikey Beats! You made us feel so relieved and was able to take lead when we really needed it. The event went phenomenally – Mikey Beats is great and even brought his American Flag suit to fit the theme.